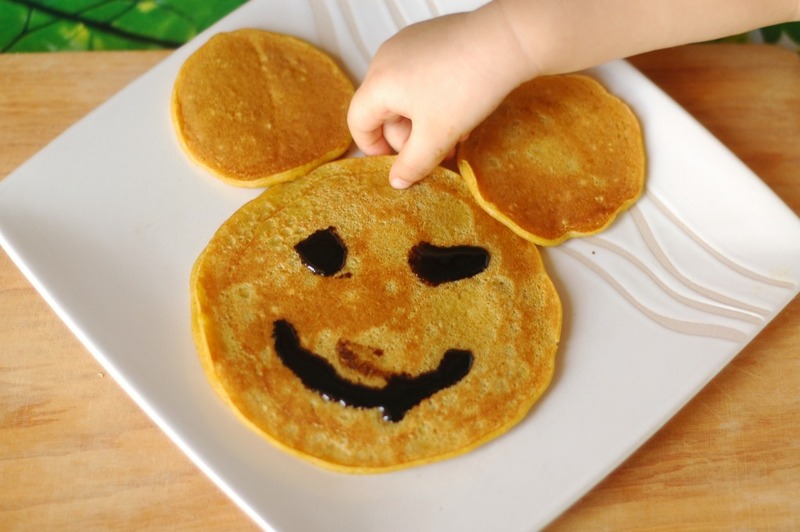 Sometimes, on easy Sunday mornings, I make pancakes for my family. If I'm in the mood, I'd add a little twist to the flavour and also the presentation. Well, at least I attempt to. Pumpkin pancake is quite a common feature in my house. I always add oats the the batter to increase fibre and nutritional value. I thought I'd style it a little differently for a change. Thought it might interest my toddler. 1. Mix together the flour, baking powder, oats and sugar. 3. Beat the egg together with the milk and mashed pumpkin. 4. 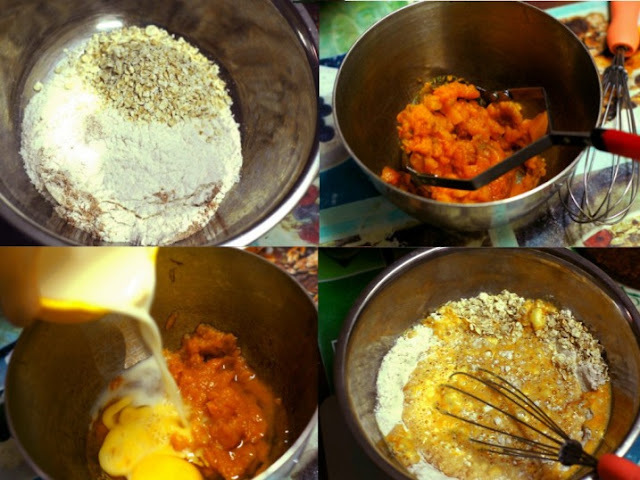 Pour the pumpkin mixture into the flour mixture. Beat till smooth. 5. Leave the batter for a few minutes before making the pancakes. I made one big pancake and two small ones and assembled them to form a cartoon character. And then I painted the face with blackstrap molasses using a spoon. Noted, it looks more like Scary Mickey but my daughter didn't complain. Oh well, Mr. Smudge Eye gets eaten anyway. Cheers to a healthy home made breakfast, however it may look like!